This 1845 publication, written by a prominent reformer of the day, argues against capital punishment from several perspectives, including historical, philosophical and biblical arguments. It is broken into 3 chapters: Expediency, Justice, and Sacred Scriptures (although it has Scripture references peppered throughout). 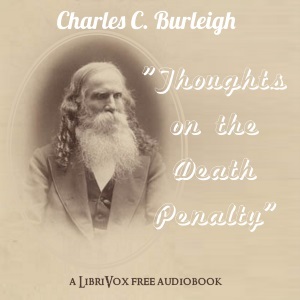 Burleigh frequently references and argues against George B. Cheever, a prominent death penalty advocate of the time.